Melt butter in a a large skillet and add shallot; saute 30 seconds then stir in eggs, tomatoes and parsley. 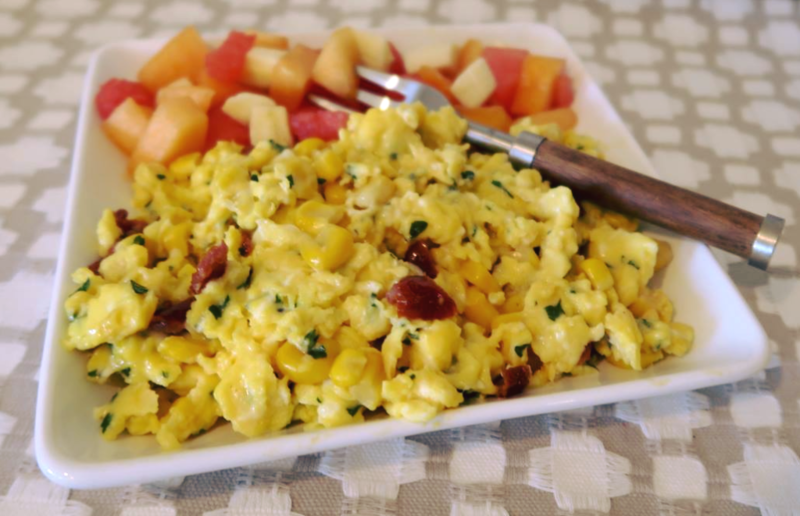 Half way through cooking (about 3-4 minutes) stir in buttered corn and continue to scramble until eggs are fluffy. Serve with fresh fruit and buttered toast, if desired.